"Modi ki boti boti kaat dunga"
Re: "Modi ki boti boti kaat dunga"
North India and South India!! And then when all the ammonia has dispersed into the atmosphere, we can reclaim the land again for India. 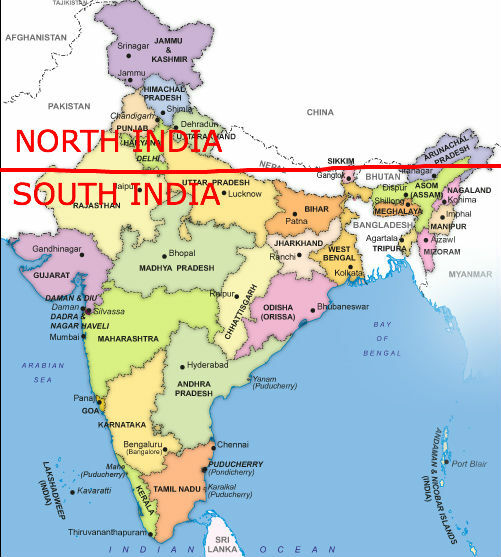 Once North India and South India are partitioned, Gujaratis will request another partition and become a part of North South India. Either you become peaceful or become a madrasi... there will be no other choice. The sub-species of bhaiyas will be extinct. Pretty surely ECI did this to show its 'impartial' and 'no-tolerance' attitude to defaulters. From, what I have seen, Amit shah made one anger-filled speech (statement) which had no indecent content. Khan OTOH uses indecent words frequently and couples it sweetly with religious color E.g. Modi Kutte ka Bachcha, Kargil Musalmanon ne jeeta tha etc. Jo bhi hai, Modi ne almost single-handedly sab opponents ko solid hila ke rakha hai. U may be with him or against him but surely centred around him. To ban Azam Khan they had to ban Amit Shah as well.. no problem. Thank rest of us all for tolerating you 15K posts and not driving you outta here.